FinTech Futures‘ editorial contributor Graham Buck talks to Emre Sayin, founder and chairman of FCase, about data orchestration and fighting fraud. FCase describes itself as a data aggregation hub, which takes fraud management systems from basic standalone detection to a more enterprise-focused approach. How does this approach assist fraud detection and prevention? Traditionally, bank and financial institutions’ fraud operations required fraud screening teams to continuously interact with a multitude of detection software systems. Teams were required to manually gather and aggregate historical data from several different resources. FCase streamlines these traditional processes by consolidating fraud data, simplifying fraud operations management and significantly improving efficiency in real-time. Banks and financial institutions have a unified fraud orchestration suite integrating with all major fraud detection platforms. This helps avoid the traditional issues of a siloed and disjointed fraud management operation. When data is siloed it creates issues that make today’s fraud operations hard to manage. FCase connects all fraud detection systems, creating synergy which provides a 360-degree view for any fraud screening team. You cannot manage something you cannot measure; FCase solves this by empowering measurable, accountable and reportable fraud operations. For successful implementation, any fraud prevention system should be well integrated with various verticals such as digital banking, authentication anti-money laundering (AML), and credit cards. Tell us about the formation of the company and how you assembled your team. My experience prepared me well for this company. In essence, FCase was formed to solve the global problem of fraud fragmentation in banking operations by defining a paradigm we call “fraud orchestration”. Our team has extensive experience and expertise in fraud prevention as well as operations governance. From sales to development, I carefully assemble my team with individuals who are slightly obsessive about success. I like working with people who are perfectionists and show dedication. Anti-fraud technology is increasingly sophisticated, but so are the techniques employed by phishers and other fraudsters. Is it possible to outwit the criminals, or is it simply running faster just to stand still? Unfortunately, phishers and fraudsters will always exist. The fraud prevention market in 2017 was around $11.5 billion and projected to reach $30 billion by 2023. The fundamental weapon to fight against fraud is data: the more you possess the more accurately you can fight fraud. FCase provides the desired data aggregation hub for banks and financial institutions to effectively tackle fraud. FCase has increased fraud capture rates by up to 50%. You mentioned the need for fraud orchestration – could you briefly outline what it is and how it can help financial institutions? Fraud orchestration is a subset of data orchestration, similar to how a composer leads a unified, coherent group of instruments to create beautiful music. Data orchestration seeks to create an omnichannel ecosystem where multiple platforms and tools work together producing an enterprise view across multiple channels and devices. It turns business silos into a symphony, where different instruments are orchestrated to work as one. It also produces a free flow of information not interrupted by any obstacles. New digital channels create a cluster of fraud detection systems needed to process massive amounts of data, these independent systems not communicating with one another is a problem that fraud orchestration solves. Fraud orchestration cures the business silo effect, creating ultimate transparency where bank fraud divisions can view alerts across any channel in real-time. This is peak optimisation – a mission control for detecting, analysing, and mitigating fraud activity across all channels. Digital banking is here to stay, and banks need a proactive omnichannel fraud detection platform while riding the climbing wave of digital banking. Creating a mission control where fraud is transparent across all channels is a clear example of optimised fraud orchestration: a platform where all fraud detection systems collaborate to help bring fraud management into the new age. Banking customers want greater speed and convenience, but does the increasing incidence of financial crime in the digital age make this impossible to achieve? Financial institutions are adopting active and passive biometrics along with device identification solutions to fight financial crime. The future of authentication will be password-less and users will have an easier, safer and faster digital banking experience. Education will always be the most effective way to combat crime. Rather than increased regulations and investing in defensive technologies, we can encourage fraudsters to become productive members of society by providing them with proper education. Admittedly, this is challenging and fraudsters will always exist, searching for new flaws within financial institutions. However, their impact will lessen thanks to new fraud prevention technologies going forward. Will emerging technologies make fighting fraud easier, or are criminals also likely to employ these new tools? Emerging technologies are promising in terms of fighting fraud, however, fraud is a huge paradigm and it’s impossible to prevent 100% of fraud as there exists a multitude of different methods and channels. New prevention technologies aim to decrease the frequency of fraud to at least a tolerable level. The risk of fraudsters employing new methods in future remains, but with lesser impact on financial institutions. The reputational damage to a bank or building society that is successfully targeted by fraudsters is immense and can far exceed financial loss. Have companies in the sector raised their game in responding to the threat, or could/should they do more? The actual cost of fraud can be interpreted as the summation of actual loss, reputational loss, and regulatory fines. For example, Deutsche Bank has been fined $41 million and BNP Paribas was fined $246 million recently, both relating to fraud activities. The banks who suffered from such reputational damage tend to invest more in fraud prevention technologies to decrease the downstream impacts of reputational damage from fraudulent activities. Is a sufficient pool of talent available to banks and institutions developing fraud management teams, or is there a need for more education and training? Fighting fraud requires continuous team training and is challenging to maintain, as fraud detection systems change every three to five years on average. Fraud screening teams need training and understanding of those new systems in order to be proactive in deterring fraudulent acts. This problem is one of the main motivations behind FCase “to create a standard interface for all fraud management”. FCase eliminates the time, manpower and cost implications associated with continuous staff training when adopting new fraud detection software by investing in a single unifying platform. How do you see the fight against fraud developing over the next ten years? Are you confident that it’s a winnable battle, or do you fear that criminals could triumph? Forecasting fraud trends can be challenging but will most likely include an increase in digital fraud, more sophisticated attacks and emerging banking channels introducing more complex risk. Furthermore, internal fraud will increase along with identity theft. To meet these future challenges, fraud prevention engines will employ more sophisticated methods such as advanced machine learning to fight fraud. Fighting fraud is not a “win or lose” battle, it’s all about reducing the frequency and impact of such attacks on banks and financial institutions. 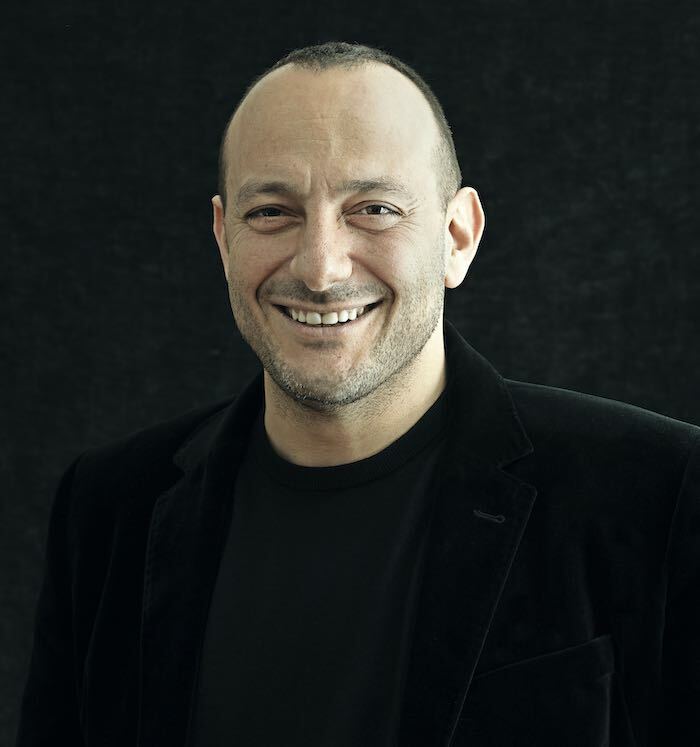 Emre Sayin, founder and director of FCase, has been a technology investor since 1996. A computer scientist with an academic background, he runs several successful technology companies. FCase is a data aggregation hub which takes fraud management systems from basic standalone detection to a more enterprise-focused approach, standardizing fraud case interaction, fraud management processes, governance models and performance indicators. How to adapt a standard financial product to local specifics, by the examples of Kazakhstan and Spain. To manage your cyber risk, you must understand it. Life is good at the heart of Europe.